5 and 4 cut from the high posts (either can go first). 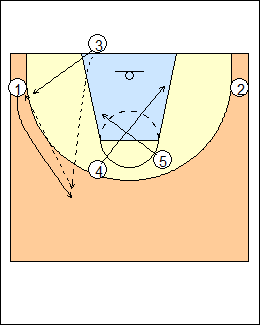 3's looks are weakside 2, the first cutter, the second cutter (who is more likely to be open inside), then ballside 1. See Inbounds - baseline Corners, Fraschilla P series (against zone). 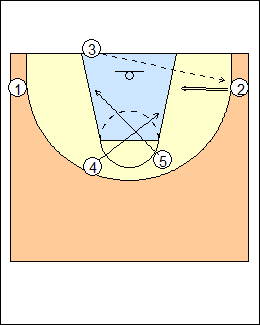 1 can lift out of the corner for the inbounds pass, then hit 3 filling behind for a shot.